Home › Ketchup & Cornflakes › How to be ‘in the moment’ and in the photo! 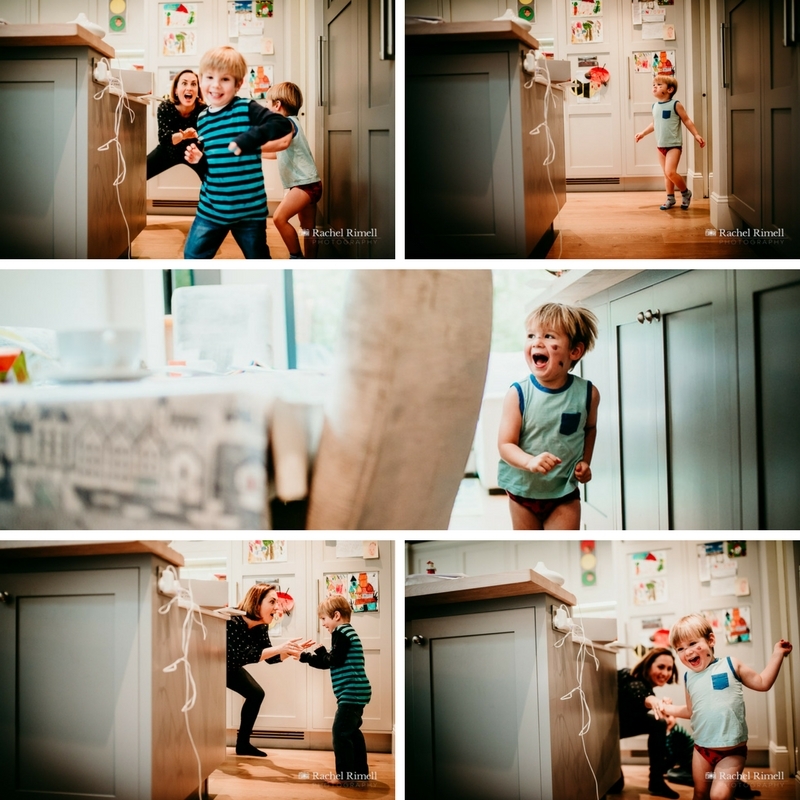 London day in the life documentary family photography sessions. Ever wanted to be in the moment and capture it for prosperity at the same time? All those tiny moments that make up family life – the silly games, the gestures and expressions, the glances and the interactions. I’ve just walked up the street with my husband and two children pretending to be as many animals as we could (sometimes living at the top of a hill calls for invention and creativity to get everyone home without whinges and multiple utterances of ‘I’m tired’ from them or ‘hurry up’ from me!). We must have looked hilarious – my elephant impression is legendary! As a London family photographer I would usually be capturing this on camera. But I didn’t have my camera with me on this simple trip to the shops and back. And if I’d have been snapping away I wouldn’t have been quite in the thick of it and in the moment. Day in the life sessions are designed with exactly that purpose in mind to address that dichotomy. We’re often too painfully aware of wanting to capture the moment to actually participate in it. I see it in the frantic scrabbling for a phone by which time the moment has passed, the expressions changed and the snapshot missed. And I’m as guilty of it as everyone else – more so even as my brain is wired to constantly see the world and interactions between people as photo opportunities! Hopefully it’s what makes me a good London family photographer but often it means I’m not in my family photos (my husband is not wired to see photo opportunities and needs telling to get his phone out to take a snap, so an unguarded in-the-thick-of-it photo of me is rare!). 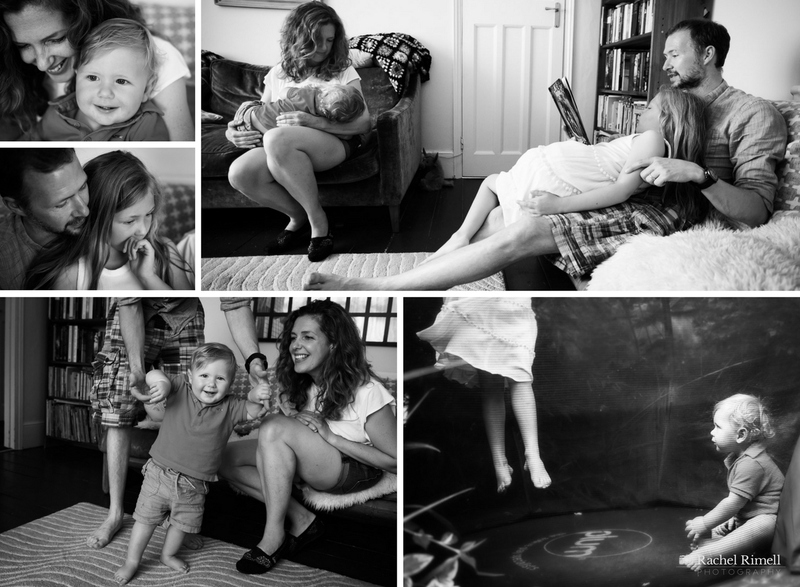 While all of my sessions are documentary-inspired in approach, my day in the life sessions offer a much more in-depth and intimate window on your family life. With my signature family photography sessions – although still relaxed, unscripted and unposed – my families are still more conscious of the camera, there’s an element of orchestration in planned outfits or locations, there’s often still a sense of occasion and temptation to perform for the camera and ‘what shall we do next’. Day in the life sessions allow one step back further to observe and document, to let the story unfold from the simple everyday – from doing ‘nothing special’. Children and adults alike forget about the camera and truly relax, interacting entirely naturally as they would if I wasn’t there. Everyone can be ‘in the moment’ and I’m there just to capture it. These are the photos that will make your soul sing when you look back on them in 20 years. Because these were the moments that would otherwise be overlooked – bundled together in a foggy memory. Documenting just a simple day in the life of your family enables those moments to be crystallised and made tangible again. 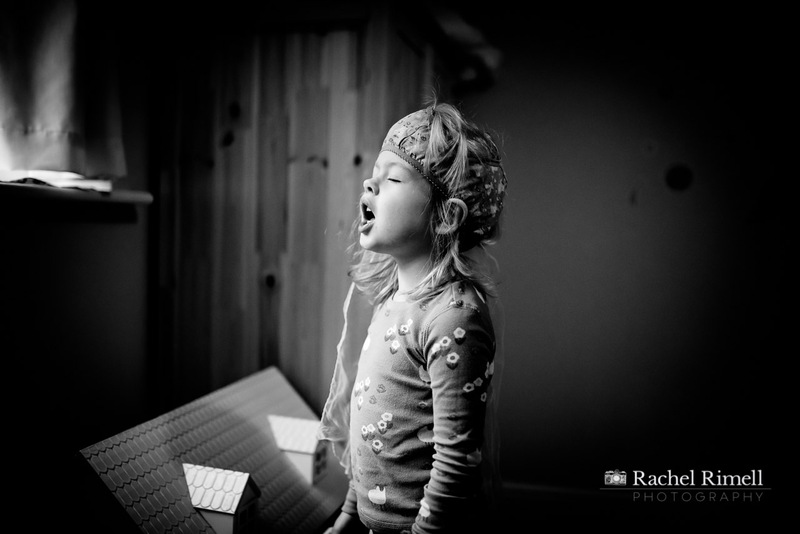 One of my favourite current images of my children is my daughter with a pair of knickers on her head singing her heart out in her pyjamas. It reminds me of a photo of myself at a similar age with a pair of blue and white stripy kickers on my own head pretending to be a butcher (I have no idea why I thought they wore stripy hats!). That memory is crystallised in my mind because of that photo rather than the memory itself. Just like the memory of Evelyn singing away one morning before she got dressed for the day is crystallised by my photo of her. I have no doubt that moment would otherwise be lost to the mists of time without the photographic record. The trend these days is to strive for the perfect life or the appearance of it anyway – the ‘insta life’. The perfect house (clean and tidy of course), the perfect children behaving perfectly while dressed in fresh clean white linen. But the reality is much less polished, more raw and real, often with crumbs still on the floor and a pasta stain down your shirt. And when you look back, the images that will truly speak to you – and to your children – of your life together, the bonds that form you and your family unit, it will be the real raw and imperfect. The real you. 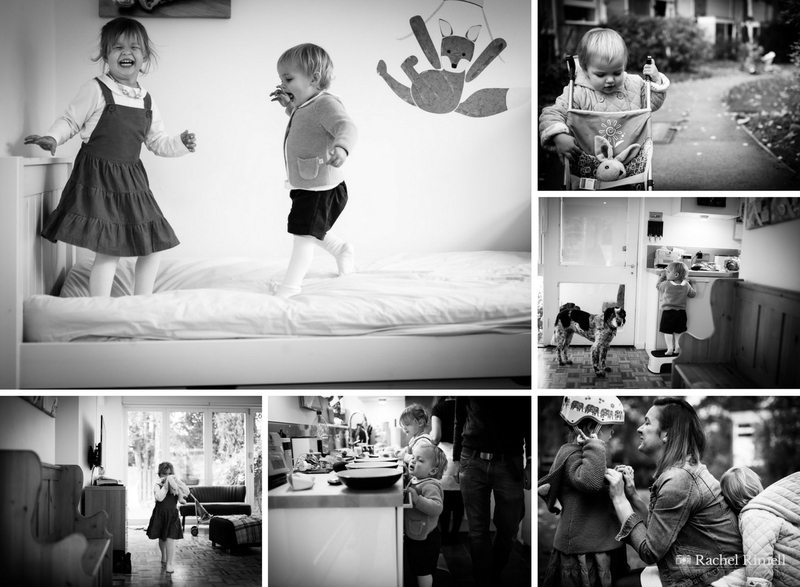 London day in the life family photography sessions are available to book now.